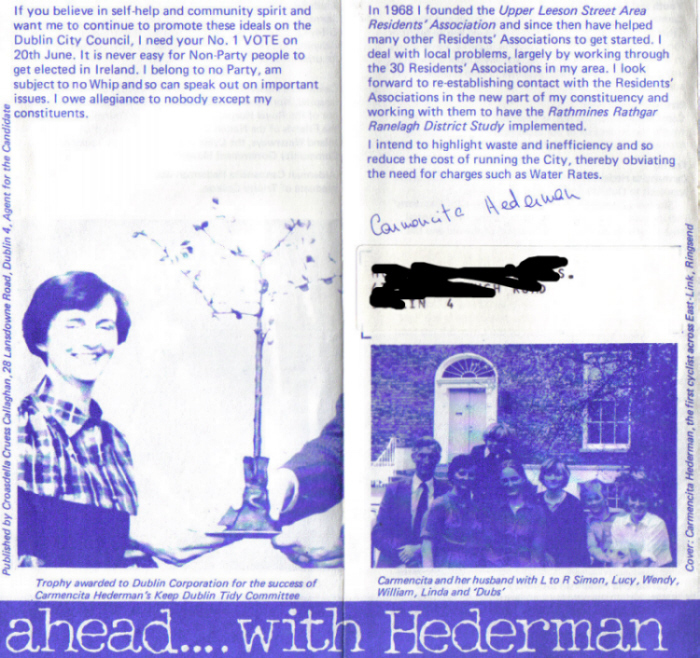 From the 1985 local Elections in the Pembroke Ward, Independent Community Candidate Carmencita Hederman. The picture is of her going over the ‘new’ East Link bridge. Carmencita Hederman was first elected to the council in 1974 and served until 1999. She was Lord Mayor of Dublin from 1987–88 during the Dublin Millennium celebrations. In 1989 she was elected to the Seanad for the University of Dublin Seat and served one term. The Leaflet below gives an outline of her activities and career. 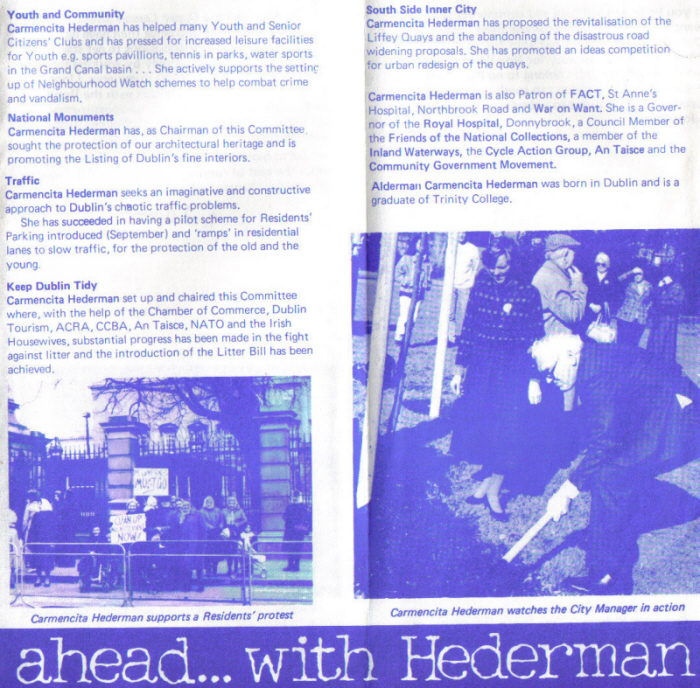 The picture on the bottom of the leaflet is of a building at the bottom of Eglington road (opposite Donnybrook Rugby ground). There was controversy when the building was built and given planning permission. This was then added to by the fact that once built the building could not find a tenant for a long period of time. Her daughter Wendy Hederman was elected to the council for the Progressive Democrats in 2004.